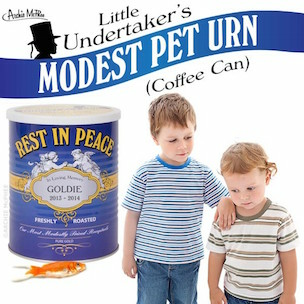 Great for dogs, cats, canaries, goldfish, turtles, lizards, and other dead things. Bonus eulogy stickers included. Where it says "Goldie" in the photograph, it is blank on the coffee can.